Every garden should have a lavender bush – they’re easy to grow, waterwise and incredibly rewarding. But did you know that lavender is actually edible? Read on to find out more about this versatile herb. 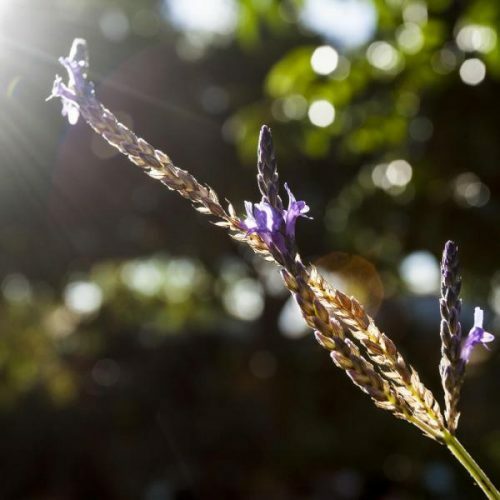 When planting lavender, choose a sunny spot, with well-draining soil. You can improve the drainage of heavy clay soil by adding some river sand and compost. Lavender also grows well in pots filled with good quality potting soil. Plant lavender bushes about one metre apart to allow for future growth. If they are planted too close to each other they are susceptible to fungal diseases due to poor air circulation. Trim lavender after it has flowered to prevent the bushes from getting scraggly and woody. Hang bunches of lavender up to dry in a dark, dry place. Once it has dried you can use it in pot pourri, toss it in the fireplace for a lovely scent, or place sachets of the dried flowers in your cupboards to keep moths away. Lavender makes a beautiful garnish for cakes and desserts, but you can also add dried lavender petals to your cake mixture. The flavour of lavender blends very well with chocolate. Struggling with insomnia? Try placing a vase of lavender in your bedroom. The scent of lavender has been proved to have a calming and relaxing effect. Don’t delay – grow lavender today!